We set a new trend of Journalism called Investigative Journalism which never so much enjoyed popularity. 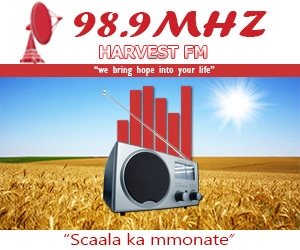 The station has also enjoyed tremendous growth by introducing the live reporting of community events, phenomenon rare in Lesotho Media hence Harvest FM became the first Radio Station in Lesotho to win the Prestigious Diamond Arrow Award in 2007 from the PMR Africa Magazine, which is based in Johannesburg South Africa. Of all ten (10) National Radio stations, Harvest FM became the people’s choice of number one Radio Station which gives them uncompromised, well balanced Current Affairs programs, News and outstanding entertainment programs with local and international gospel music. In 2008, Harvest FM proved itself to be Dominant in the Media Front by scooping two Diamond Arrow Awards, still the Highest and Prestigious in Business Sector and community Category. This time it was for best Current Affairs and News and best Music and general entertainment. In 2009, Harvest FM received Diamond Arrow and Silver Awards from Professional Management Review (PMR) based in South Africa on the 4th September 2009 in Bloemfontein. The two awards were for News and Current Affairs and Music and Entertainment. 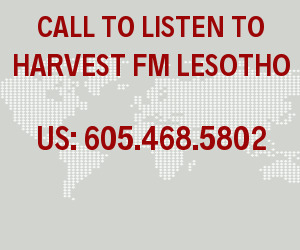 In 2010, Harvest FM received Silver Award from PMR in Maseru Lesotho for News, Current Affairs, Music and Entertainment from PMR South Africa. 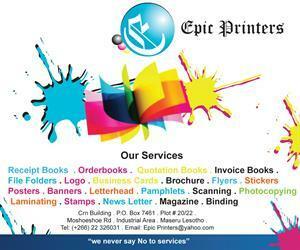 It started to sponsor 10 high school students with school fees, book fees and uniform for every year. In 2011, Harvest FM received Golden Arrow for News and Current Affairs and Silver Award for Music and Entertainment from PMR South Africa. In 2012, Harvest FM received Diamond Arrow Award for News and Current Affairs and Silver Award for Music and Entertainment from PMR and International Quality Crown Award in the Gold Category in London United Kingdom. 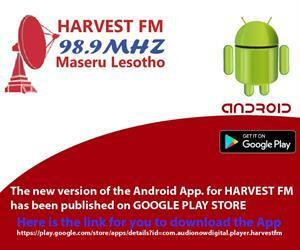 In 2013, Harvest FM also received a Golden Arrow award for News and Current Affairs and Music and Entertainment from PMR South Africa. It celebrated 10 years by awarding the public transport industry some awards for community building. It also received a certificate of recognition from HCJB Global for 10 years operation as the international partner.